This book is probably the one that I have been most excited about in a while. I have always loved fairy tales and when I discovered that there is an entire sub-genre of adult fiction out there dedicated to the modern retelling of fairy tales… well, it’s not an exaggeration to say that I may have swooned. Because there are so many of these books out there, I have decided to start a little series of these reviews so that I can share this magical world with you, and hope that it catches your imagination and enchants you like they have enchanted me. The particular fairy tale that this story is based on is actually not one that I am familiar with, which made it more interesting to me. It’s about an older couple who want desperately, but are unable to have children. One day they make a child out of snow and then that snow child comes to life and for a little while fills their lives with love and happiness. One of the things that I am really appreciating about Eowyn Ivey’s re-telling is that she talks about the original story; the main character references it when a similar thing happens to her and her husband. Jack and Mabel are the older childless couple in this story, recent immigrants to the Alaskan wilderness from Pennsylvania in the 1920s. After the stillborn birth of their child and years of internal torment they have decided to try to start their lives over. But as the old adage goes, you can run away but you still have to take yourself with you, and life in Alaska is hard and doesn’t help to ease the couples suffering. Silence and depression seem to be Jack and Mabel’s constant companions out in the woods and so when an impromptu snowball fight erupts between the two of them one night, the joy it brings is a wonderful change. They start to build a snowman and without any sort of external communication that snowman starts to resemble a small girl with Mabel adding some mittens and a scarf as a final touch. It seems that night that the broken pieces of Jacks and Mabel’s lives may finally start to be mended, but the tale takes an interesting turn when the next day their snow child has been ruined, the mittens and scarf are missing and they both swear they have seen a small child running through the woods. I don’t want to give too much away so I’ll hold off on the synopsis there. I’ve been finding with these midpoint reviews that there are mostly two types of books – ones that the story progresses linearly and mostly straight forward and I can kind of see what going to happen and where the story is going; and the other ones where I have no idea what’s going to happen and the second half of the book throws everything on its head. Sometimes this doesn’t happen dramatically, but the impact is the same. I think this story is going to be one of the latter ones. 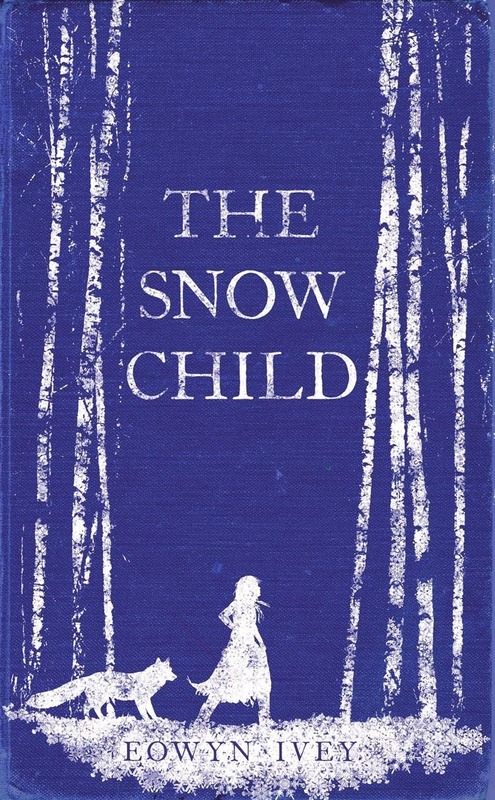 When the mysterious child appears Mabel remembers a story she was told as a child about The Snow Child. As I mentioned before, this is something that I really appreciate and also find completely fascinating. I wouldn’t begin to presume Ivey’s reason for doing this, but to me it grounds the story, Ivey is acknowledging that something fantastical is happening which allows one to believe that it could happen to you; that if you want something desperately enough it can happen. It might not be the way you want or expect it to be, but still, it could happen. Ivey has also done a brilliant job of keeping all her cards to her chest. At this point in the story you don’t really know what’s going on. There is a somewhat plausible explanation for the mysterious child’s existence and also a fantastical one; when Jack and Mabel talk with the child there is no quotation marks, yet when they talk amongst themselves or others, there are. Any sort of proof that the child exists seems to disappear before it can be seen by others, but at the same time there are tangible reasons to believe that the child is real; so I really have no idea what’s going on! Ivey also does a wonderful job of making you feel the loneliness and isolation of the Alaskan wilderness; which is probably in part because she lives there, but mostly she is a wonderful writer. She completely captures the cold and the fear of not making it through the winters as well as how important it is for the community to come together so that they can all survive. I’m glad that I chose this story as my first fairy tale. It’s brutal and beautiful; and even though I am only halfway through I recommend this book to anyone who has ever wanted to believe in magic! I think a good tea to drink with this book would be Teavana's Gingerbread Tea. It tastes just like gingerbread which is a perfect companion for reading a fairy tale on a cold winter's day.